If freezing temps make you want to hit the slopes when your pals reach for hot chocolate, perhaps it's time to treat yourself to a special kind of GPS system. You know, one that's made for skiers and snowboarders. 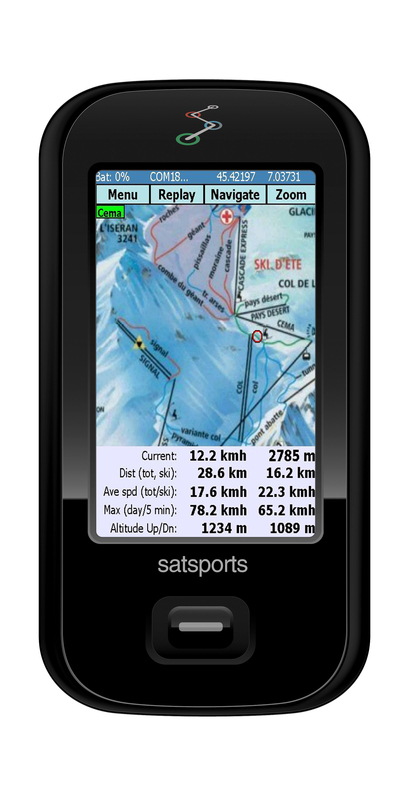 Though it's a bit pricy at $490, Satsport GPS - a multi-sport, interactive, all-weather GPS system - is loaded with bells and whistles galore that'll truly enhance the experiences of the road warrior/winter adventurer. Sporting a 2.7-inch touchscreen, SiRF Star II antenna, Samsung 400 Mhz processor and micro SD card slot, the handheld gadget combines true, real-time interactive navigation for skiers, snowboarders, golfers, runners and cyclers. And it does this through PC software that syncs GPS data with Google Earth to replay in 3D. Throw in an extra $65 for an optional SD card to turn the device into a voice-activated street navigator. It's available at ski resorts worldwide, so you can try one out instantly -- on slopes or in the ski lodge, hot chocolate mug in hand.